Are you ready to see a different side of Egypt? Being the second time visiting this Middle Eastern jewel gave us the chance to look at it with a different set of eyes. Yes, the pyramids are mesmerizing, but having seen them before, we could look beyond their majesty and take in the atmosphere around us. 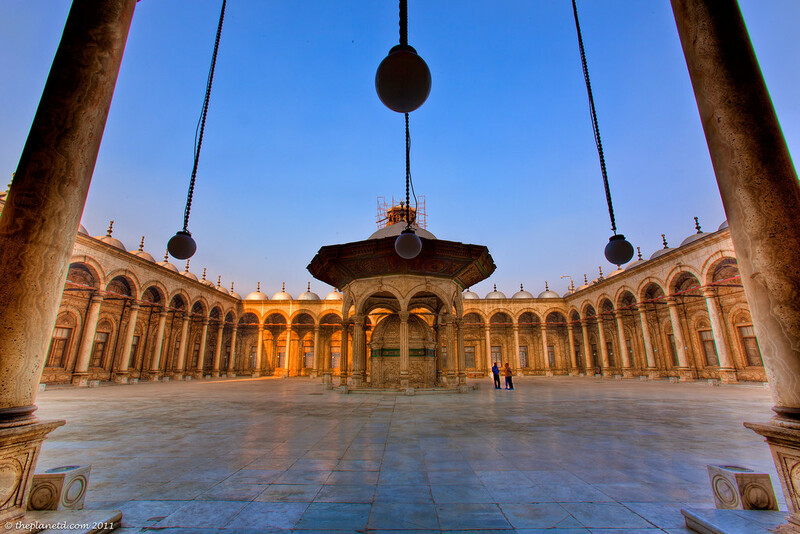 Instead of gazing out over Cairo, we could take in the polished marble of an abandoned mosque. The library of Alexandria is filled with one of the greatest collections of literature on earth but it is the modern architecture that is so striking. Students hang out in the complex and ponder the challenges of Egypt's future while we snapshots of its striking design. 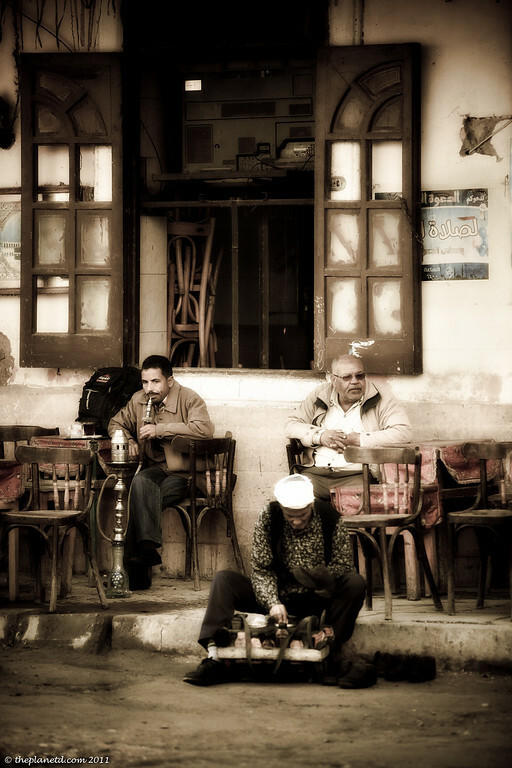 Egypt is filled with ancient monuments, but it is walking along the streets and meeting the people that is magical. Egyptians are right up there as some of the friendliest people on earth. As we walked through the streets we were invited into establishments for tea and people greeted us with welcoming smiles. Children approached us to ask where we were from and everyone asked us to take their photograph. It is a country close to our hearts as the starting point of this great travel journey that we've been on for the past few years and it brought back fond memories walking through its ancient passageways. We didn't have enough time to truly immerse ourselves in this culture, but we will definitely be back. 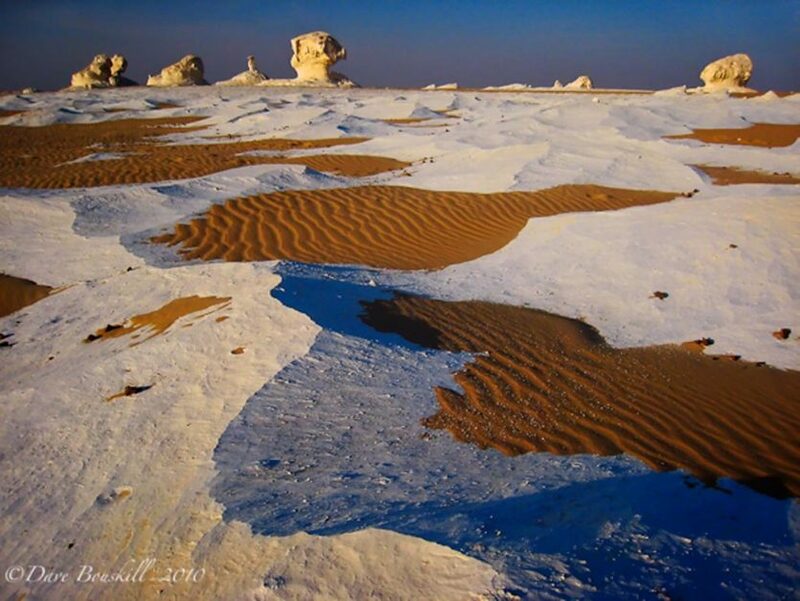 For now, enjoy these photos of a different side of Egypt. The interior of the Alabaster Mosque is even more impressive. The Pyramids at night during the light show. 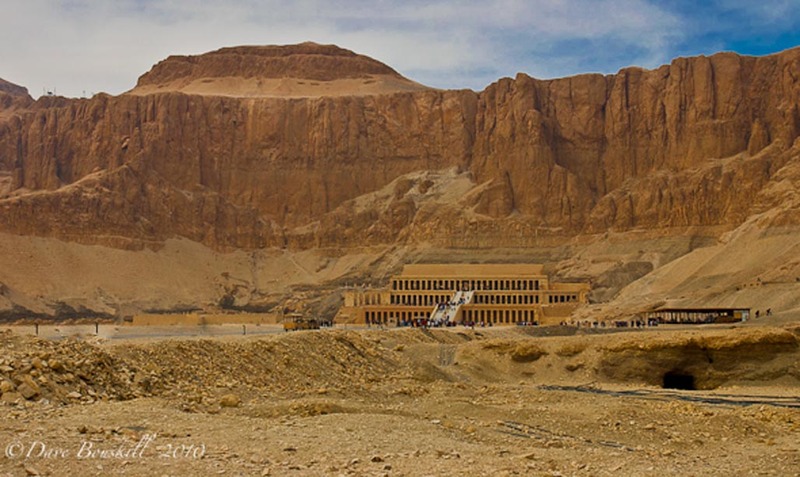 One of our trips through Egypt was courtesy of Memphis Tours., We also cycled the continent from Cairo to Cape Town and spent more than 3o days Exploring Egypt. « Are You Up For the Big Challenge in 2012? 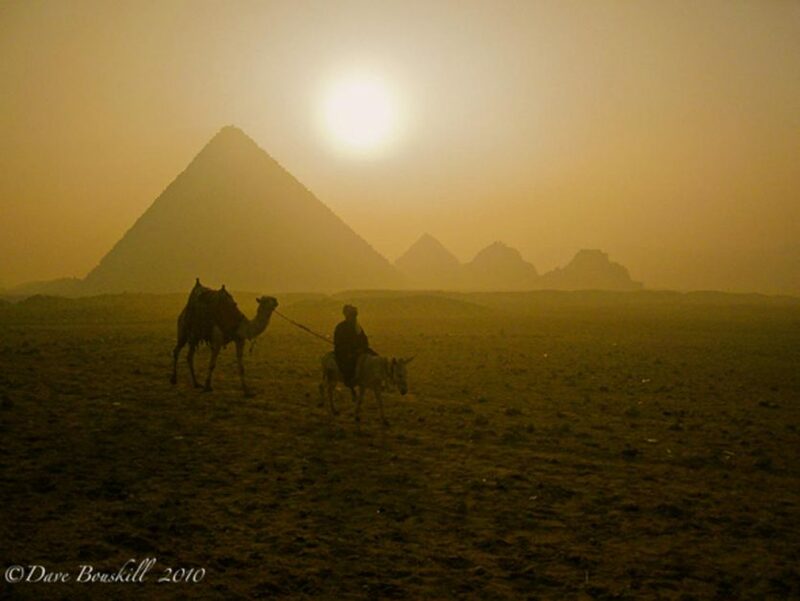 59 Responses to "Egypt – A photographic journey"
great photos..i just wonder if you use Nikon lens? 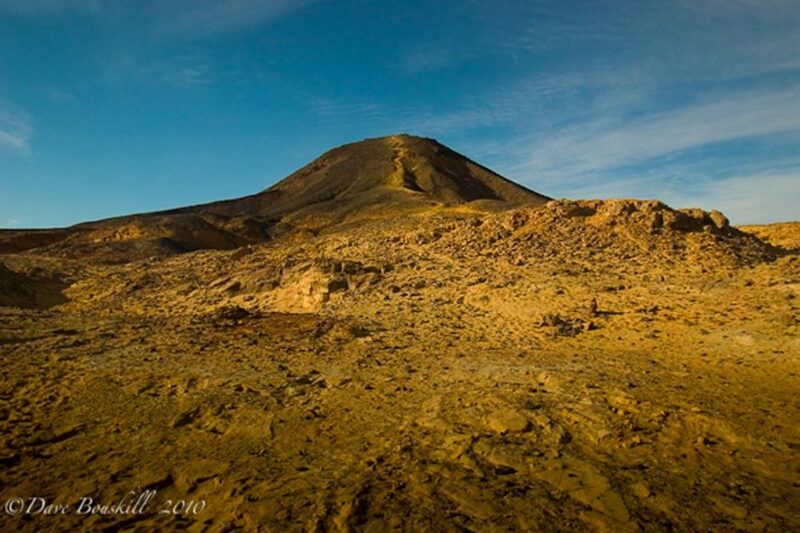 I am going in april to Jordan for a couple weeks..w/my Nikon 7100 and 24-70mm Nikon 2.8. Next year I will go to Egypt. Any sugestions about lens..day and night time? 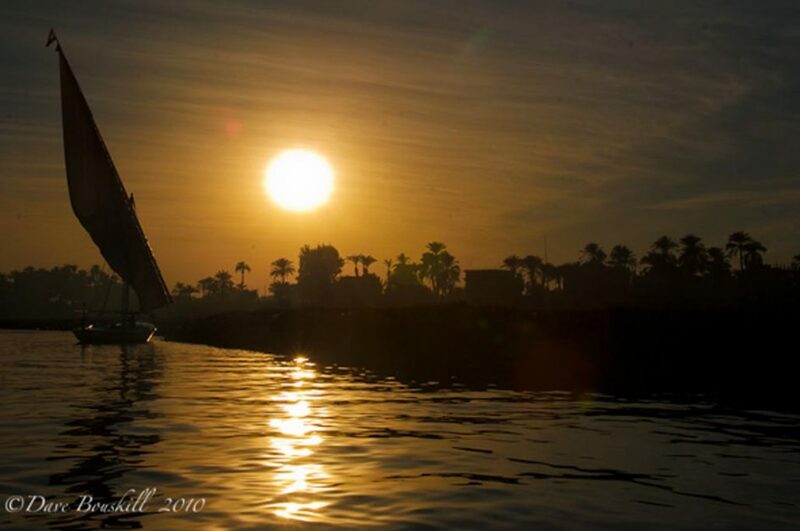 Hoping to make it to Egypt myself in early 2014 with my SO; these shots are certainly inspirational ! 16 mm actually. haha, so close. Beautiful photos, nice with the light show too. Thanks, that was pretty cool to see. Egypt is totally different from other countries. People visit Egypt not only for its history like Mummies and Pyramids but also to be welcomed by friendly and welcoming people. 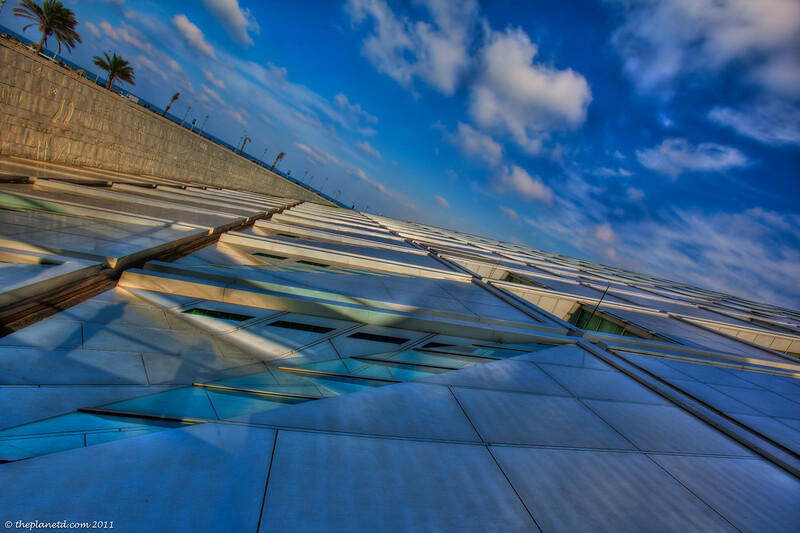 Library of Alexandria looks beautiful in your clicks. Well said Peter. We have travelled through a lot of Egypt and have always had a warm welcome wherever we go. Gorgeous photos! And I am incredibly envious you have been to Egypt more than once. We’ve planned our trip to Egypt twice and couldn’t go both times just days before we were supposed to leave on the trip. It’s been my dream to see Egypt for years and I feel I never will. 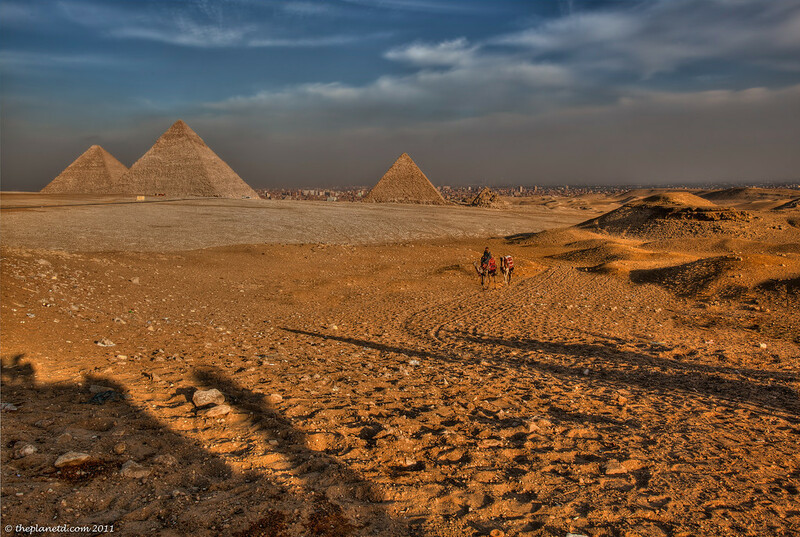 Egypt is a very beautiful country and has much more to offer than just the pyramids – very manifold! Absolutely stunning photos. Thank you for sharing. LOVE this side of Egypt! We also took a 2-day tour with Memphis Tour! 🙂 Wish we saw the light show at the pyramids though. Stunning photos! Hi Kieu, Very cool that you toured with Memphis. For me, I thought the light show was lacking at bit. It was a great way to learn about the history, however it needs a bit of an update. I don’t think they have changed it since the 70’s. Just my two cents though, it seemed that the people around us really enjoyed it. I love that you were able to go beyond the pyramids. Sometimes we tend to brush off opportunities to go to places that we’ve already been before thinking that there is so many other places to explore, however you’re right. Going back enables you to explore the culture on a deeper level. Thanks so much for the great post and amazing photos. I really like anything to do with Eygpt, I admire the history especially the mysteriousness of the pyramid and what lies in it. I really enjoy looking at the pyramids with nice tantalizing colored lights. Great pics! The mosque in the 3rd picture is actually not abandone, is a mosque for the police, still in use, I have been there. I love its shape! Ah, that explains it being beside the police station. Our guide said that it was abandoned, but it makes sense that the police would us it. Thanks Simona. Absolutely stunning images. Certainly a different side of Egypt represented. Thanks for sharing. Thanks John, it was great returning to explore a few different things in Cairo than we had seen before. That’s awesome, guys! I really would love to get back there some day. Too much to see! Your images of Egypt make me want to visit! We were planning a surprise 60th birthday trip for our mom last year, and then the entire uprising happened and we decided not to go. Too bad because the best time to visit was right after the crisis. I’m excited to explore Abu Dhabi this year though. Inspiring shots! STUNNING images .. as always. Makes me want to Egypt stat. You are welcome, I am glad that you liked it and we agree. Egypt is amazing. Love your photos!! What kind of lens did you use to shoot the landscape photos of the Alabaster Mosque? I’m a Canon DSLR user and looking to buy a new (wide angle?) lens for an upcoming trip to Cambodia. Thx! Hi Erica. Thank you for the compliments and for enjoying the photos. 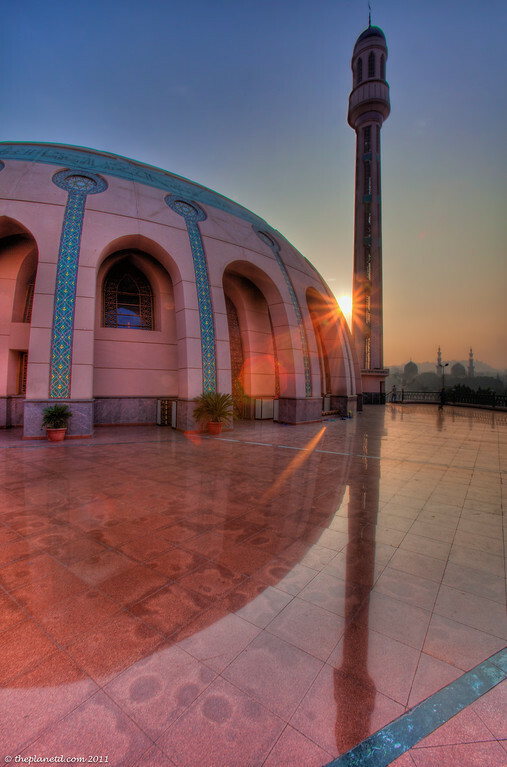 The Alabaster mosque was shot with my 16-35mm 2.8L on my full sensor 5D MKII. If you are using a crop sensor camera you could look into the 10-22 but be aware that it an EF-S lens and is not compatible with the full sensor bodies. Hope this helps. Have fun in Cambodia! 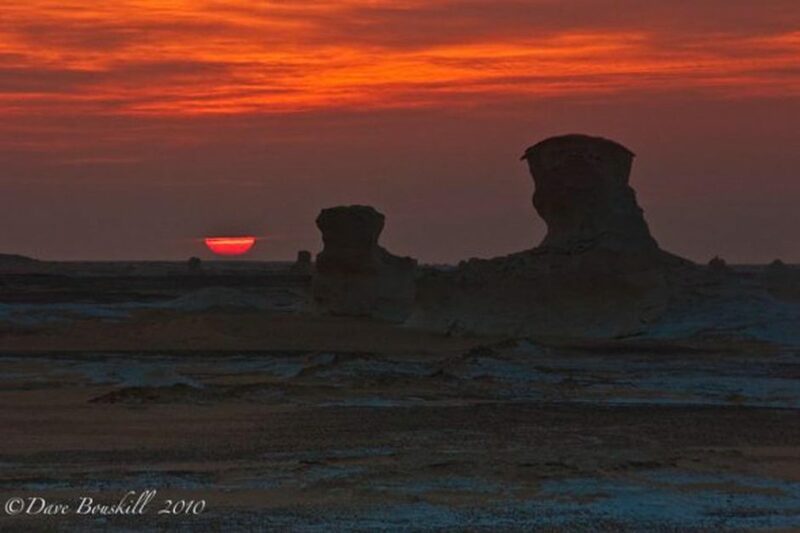 Fantastic shots of Egypt. I love the colors on the pyramids. A fun way to remember that they would have looked completely different in their heyday as well. Your photos are amazing. Thanks for sharing them…I first read the blog post on the Lonely Planet website and then followed you here. My question/comment is–I REALLY want to go to Egypt but my husband is concerned with all the unrest. We’re fairly adventurous (or like to think so) but figured it would be better to wait until things calmed down even more…can you give me some impressions you got during your trip? We would not only like to do Cairo–but the Nile and maybe into Jordan too. What do you think? 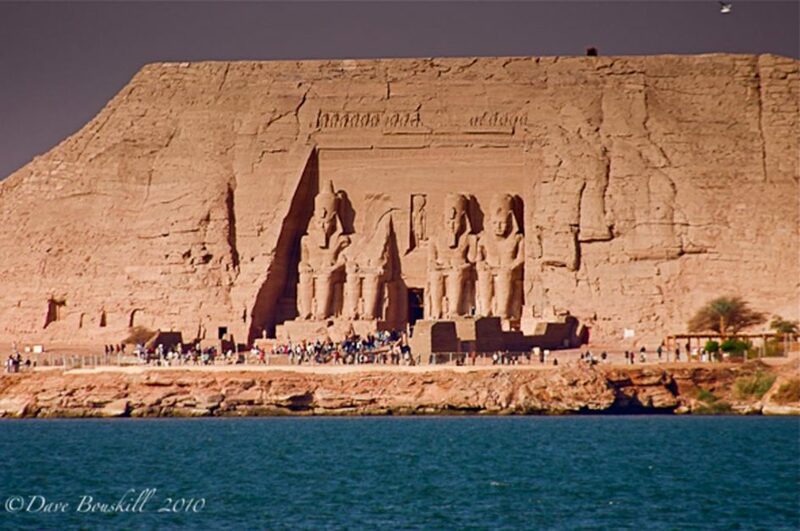 Only one answer….go to Egypt! Really, we’ve been twice and spend a total of 5 weeks in the country and the people of Egypt are some of the most friendly and welcoming people on earth. 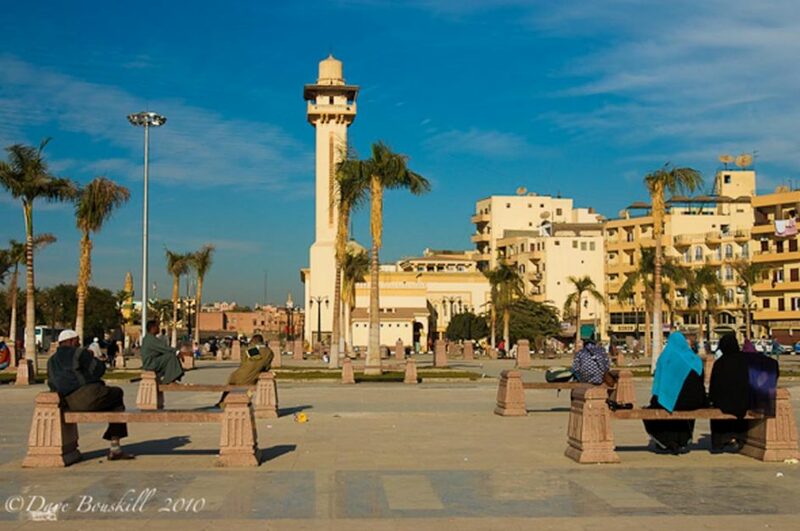 The unrest is not targetted to foreigners and it is localized to the Square in Cairo. Enjoy! Gorgeous images guys! I especially love the one inside the Alabaster Mosque. Ohhh that sunrise photo is beautiful. I’m up now in the dark — almost makes me want to take my camera outside somewhere and take some photographs at sunrise! I also like the angles of the library. Your photos absolutely NEVER fail to amaze me. I think the abandoned mosque was my favorite, but they are all really stunning. Thanks for sharing! Wow, gorgeous pictures, can’t wait to go to Egypt. Amazing photos as always. 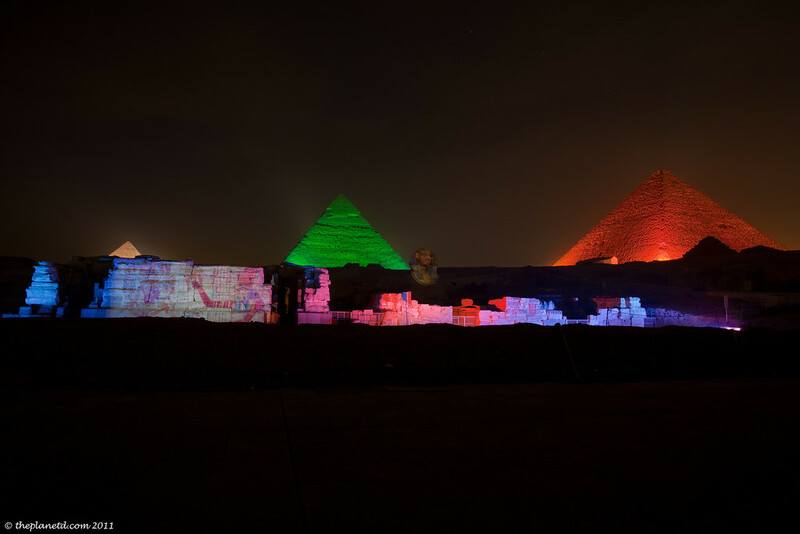 I have to say I have never seen the pyramids lit up in different colours like that, it’s quite different. These photos are breathtaking. I especially love sunrise at an abandoned mosque and the last one. So beautiful. 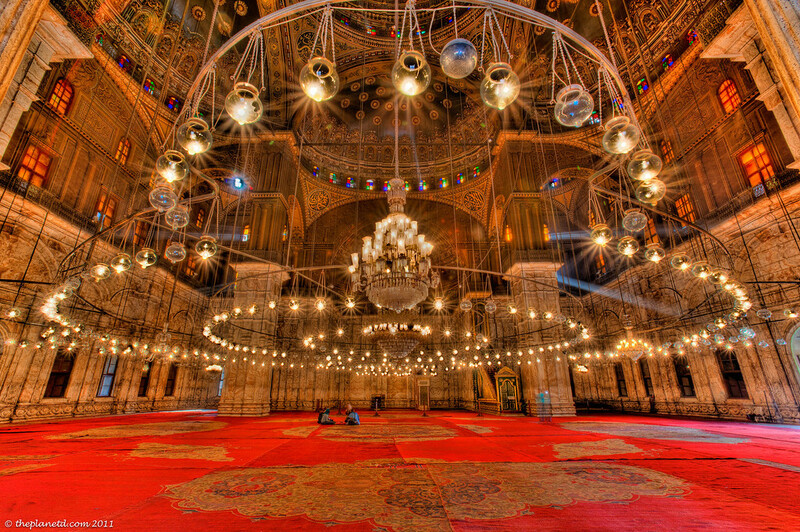 The interior of the mosque looks amazing! I can’t image what it looks like in person. I think I would be speechless. Gorgeous photos! Beautiful photos! I especially love the one of Alabaster Mosque. Fantastic photos, once again. I’ve never heard of the Alabaster Mosque, it looks amazing. Incredible photos! Makes me want to go back to this beautiful country. WOW! WOW! WOW! Exceptional images, as always. Just stunning work, guys! I have never heard of the Alabaster Mosque. I am so glad I read this post! I am definitely, positively going there when I hit Cairo again in a few weeks. Just fantastic photos. As always! Amazing captures. Egypt truly is a majestic land!